There’s no better place to experience nature in Litchfield than the Shoal Creek Conservation Area. 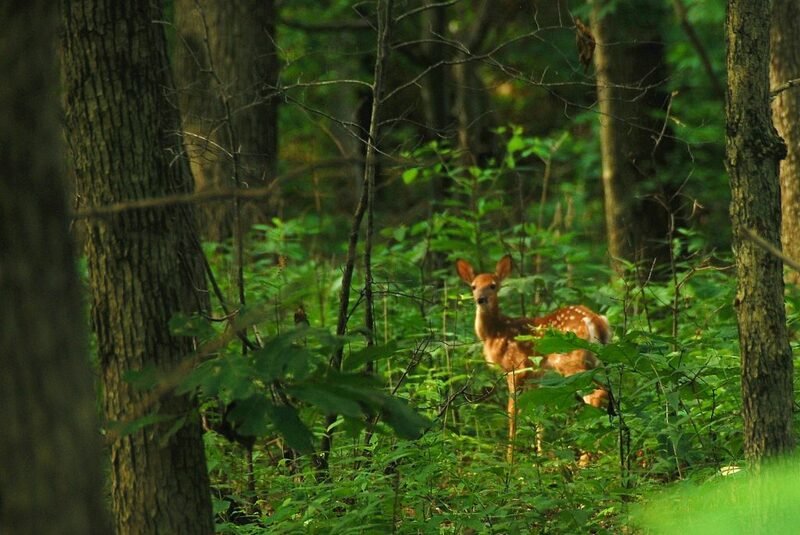 Established in 1990, Shoal Creek Conservation Area consists of 266-acres of high-diversity Southern Illinois till-plain Oak and Hickory woodland. Shoal Creek is one of the best remaining examples of these native environments in Illinois and a must see for environmental enthusiasts. In addition to 700 plant species, Lake Lou Yaeger is also home to 70 butterfly species and more than 70 separate bird species, including the majestic bald eagle. Don’t forget to bring your binoculars. Shoal Creek Conservation Area is accessible 365 days a year, and hikes range from easy to moderate in difficulty. Visitors are invited to make use of the trails from sun up to sun down. 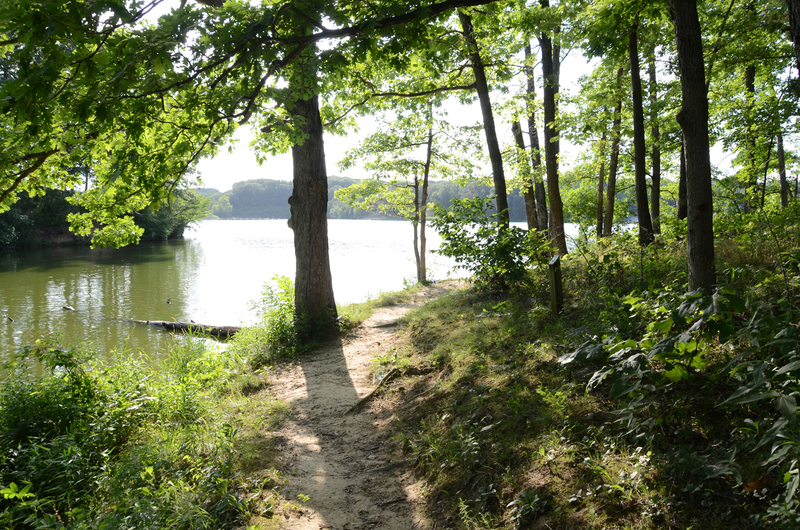 Shoal Creek Conservation Area provides a great trail experience with opportunities for birders, botanists, photographers, and nature enthusiasts. There is no admission fee or parking fee associated with visiting Shoal Creek Conservation Area. 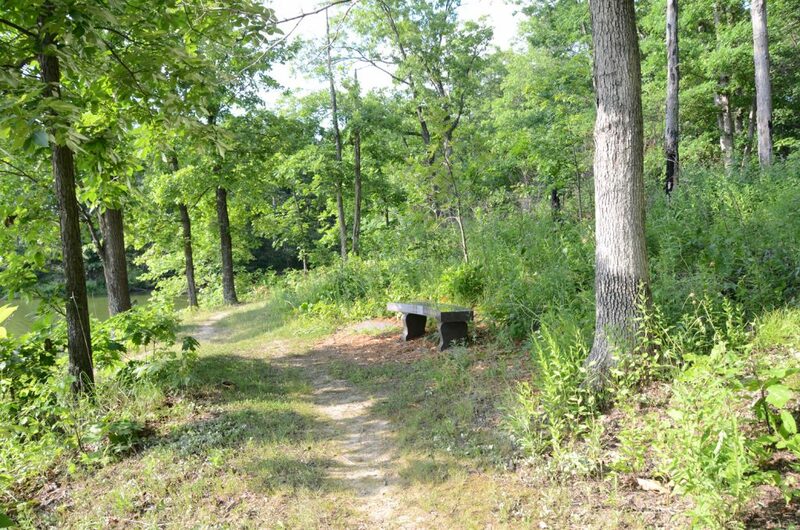 Beginning at the parking lot, the nature trail consists of two well marked loops (Loop A and Loop B) at a combined distance of about 1 mile. Both trails are mowed and wind through mostly level uplands. Loop A explores inland prairie and woodlands with mostly flat terrain and slight gradients, while the more difficult Loop B traverses steeper ravines and offers views of Lake Lou Yaeger. The entire loop is easy to moderate depending on your comfort level. When preparing to walk Shoal Creek Conservation Area make sure to wear appropriate outdoor clothing, bring water and a snack. Bathrooms are not available at the Conservation Area, however visitors may use the facilities at any of the Picnic Areas or either Marina. Man’s best friend is allowed, but all dogs must remain on a leash, per city ordinance, Make sure to clean up after your pet. Horses are not allowed in this area, however, equestrians can check out Lake Lou Yaeger’s equestrian resources. Don’t forget your camera or your binoculars! Trail maps for Shoal Creek Conservation Area are available at the trail head. 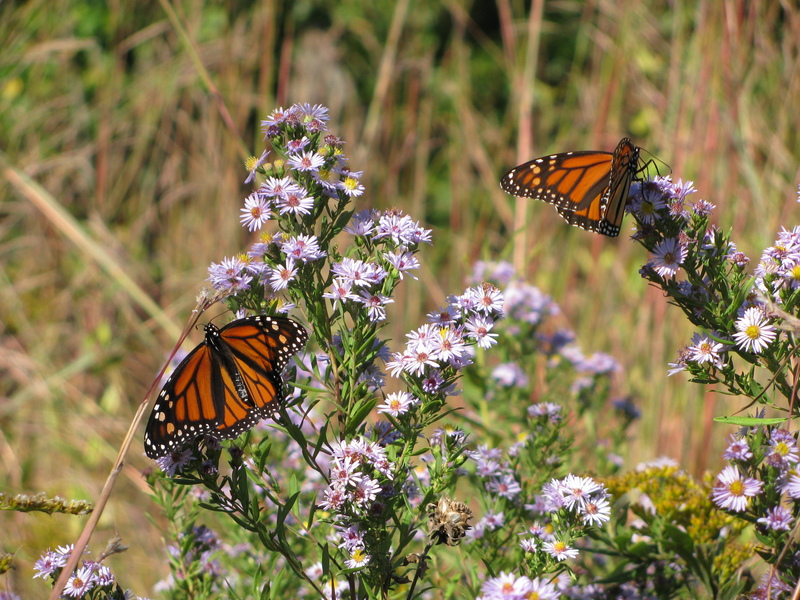 Shoal Creek Conservation Area is one of the best examples of native Central Illinois flora and fauna. It is home to deer, bats, 70 kinds of butterflies, and at least 74 species of birds. Always be prepared with binoculars and a camera to snap a few pictures of the areas more elusive critters. The surrounding woods include 10 different types of Oak Trees, and the rich ground flora is highly varied depending on the season. The free trail guide offered at the beginning of the trail identifies the location of tree species that are marked by common and scientific names. -First, assess the situation: Just because an animal is alone does not mean that it needs help. Young wildlife are often left on their own for several hours a day while their mothers forage for food. In other instances it may be obvious that a young animal has been injured, or that a young animal has been orphaned when a dead mother is found nearby. -Second, do not attempt to feed or water the animal. -The best thing to do is to call TreeHouse at 618-466-2990 and discuss the situation with staff who are trained how to respond to various situations. If TreeHouse feels that it is necessary to intervene, you will be instructed as to what to do with the animal, how to handle it if it needs to be removed from a potentially dangerous situation, and how to arrange for the animal’s transport to the center for treatment. -If no answer and your voice mail has not been answered in a timely manner, please contact the 24 hour Bi-State Wildlife Hotline at 1-800-482-7950. -The TreeHouse DOES NOT take raccoons, rabbits, skunks, bats, adult deer, or orphaned songbirds.For these animals contact the Bi-State Wildlife Hotline at 1-800-482-7950. Shoal Creek Conservation Area is owned by the City of Litchfield, but managed by the Shoal Creek Volunteers. 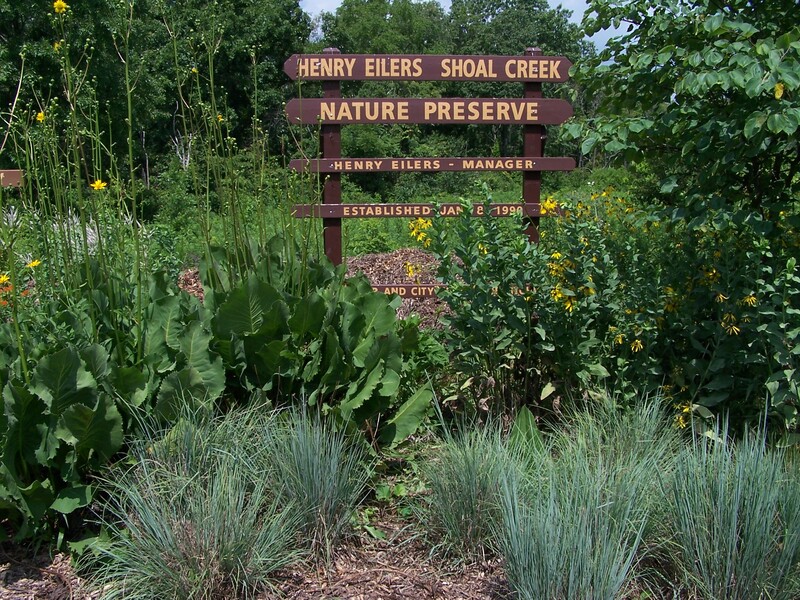 If you would like to make Shoal Creek Conservation Area your passion, and you would like to volunteer your time to maintain trails and vegetation, guide tours, write grants, or be a web designer, contact Henry Eilers at 217-324-3410. Shoal Creek Conservation Area is located on the southeast side of Lake Lou Yaeger. Since there is not a direct address to the Shoal Creek Conservation Area, visitors may follow the following directions. The written directions below are from Interstate 55. If you are traveling from the East on Route 16, omit step 1 and follow the direction in the parenthesis in step 2. From I-55, take Exit 52 and head east on Route 16/Union Avenue. for 2.7 mi. Proceed for 2.5 mi. on Yaeger Lake Trail. You will cross the dam. The parking lot and signage for Shoal Creek Conservation Area will be on the left. If you need more assistance, please contact Marina 1 during normal operating hours at 217-324-5441 or, in the off season, the Lake Superintendent at 217-324-5832.